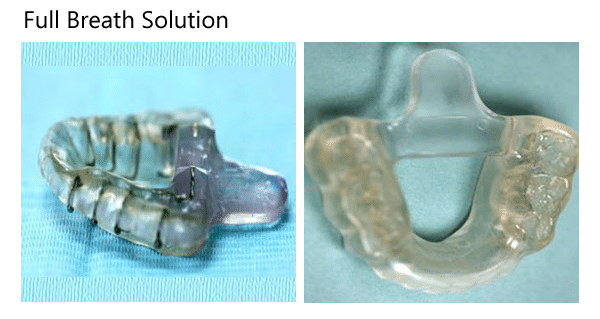 This is an example of the “Full Breath Solution” Oral Appliance. It fits over either the upper or lower teeth. The appendage that sticks out acts to pull the tongue forward. 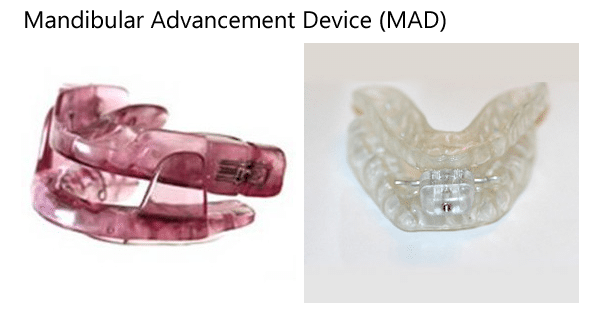 These are examples of Mandibular Advancement Devices (MAD). They fit over both the upper and lower teeth and move the lower jaw forward, pulling the tongue forward as well.